BAGHDAD/ Aswat al-Iraq: Iraqi Interior Ministry spokesman denied today that the anti-riot unit is present in Liberty Camp. 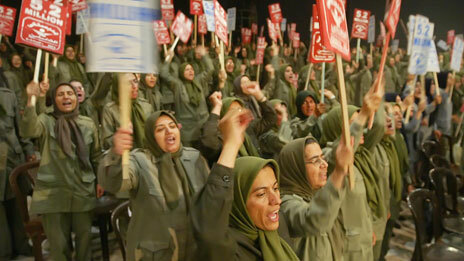 Liberty camp is the new accommodation center for anti-Iranian Mujahidi Khalq organization members. Mujahidi Khalq stated yesterday, Friday, that the anti-riot unit scattered in the camp to suppress its people. Iraqi government decided to move Ashraf Camp residents of Mujahidin Khalq to a new camp called Liberty as a substitute camp in cooperation with the United Nations, despite the rejection of the organization to this move. Iraq's Interior Ministry announced today that the committees overseeing the evacuation of Camp Ashraf, northeast of Baghdad, have completed the transfer of 1,600 MEK members to Camp Liberty near Baghdad International Airport where the process of transfer was started in February. The Ministry noted that 40 members of the organization would be moved to Europe because they are nationals of countries in it. 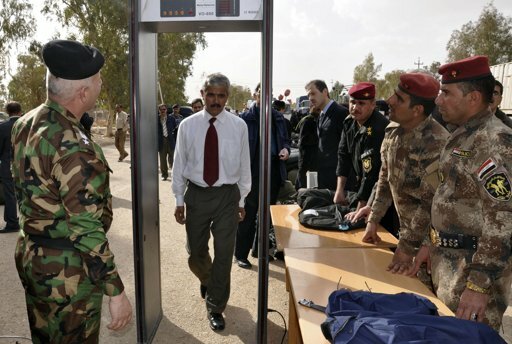 It was explained that Iraq's security agencies were able to stop attempts to smuggle four documents and other evidence from Camp Ashraf to Camp Liberty in Baghdad. 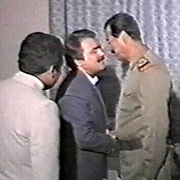 Known members of the MEK terrorist organization handed themselves over to the Iraqi security forces and declared themselves dissidents from the organization after their successful escape from the group where they claimed to have been under serious pressure from the leaders of the terrorist organization. According to Sout al Haghighat media Cyrus Morsalpour a member of the MEK terrorist group escaped from Camp Ashraf (Camp New Iraq) a few days ago and took refuge in the Iraqi police and turned himself over to Iraqi authorities after years of bearing suffering, humiliation and insult. An official source revealed to Ashraf News that five members of the group have separated from the organization after they were able to escape from Camp Liberty on Friday night near Baghdad Airport. 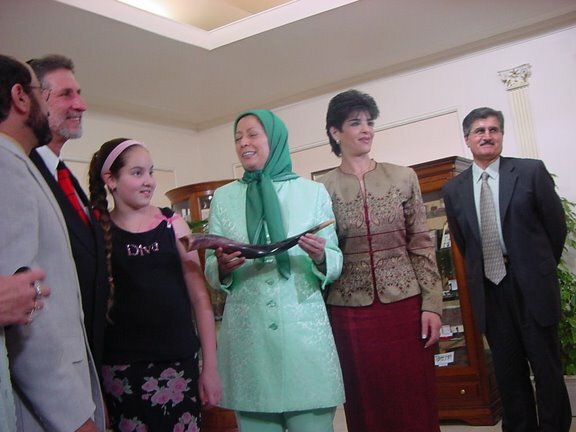 They revealed that there are many cases of discontent among the group members due to their disagreement with Mariam Rajavi's commanders, who run the camp. They said, "those who separate from the organization will be condemned to death", noting that "many of the members of the group want to leave the organization, but cannot because they fear for their lives". 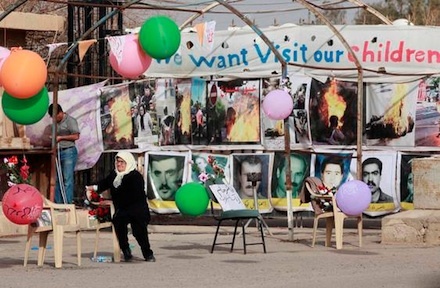 Dozens of dissidents have already managed to escape from Camp Ashraf, most prominent of whom are three of the leaders: Maryam Sanjabi, Abdul Latif Shardari and Barraat Keykhani. 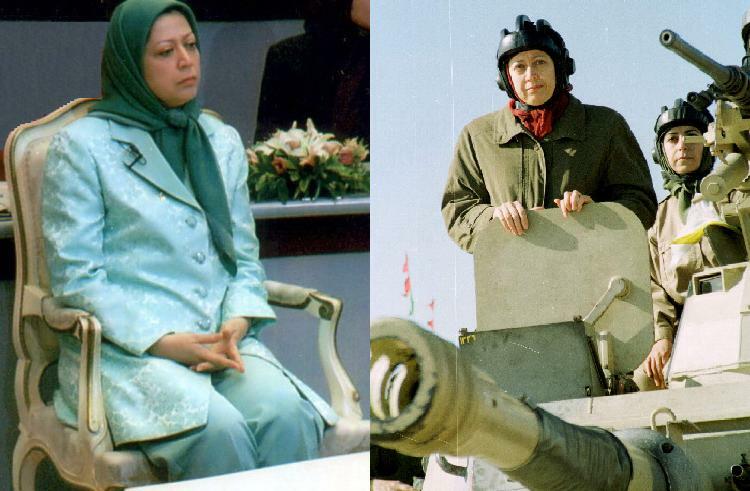 After they managed to escape and turn themselves over to Iraqi forces, they revealed the bad situation which the MEK members are suffering and accused the MEK leaders of not respecting international laws and the laws of the host country as well as their continuing interference in Iraqi affairs. A member of the House of Representatives for the province of Najaf, Abdul-Hussein Abtan, denied there is any sympathy for the terrorist Mojahedin-e Khalq group in Najaf province. He stressed that the people of Najaf and Karbala and other southern provinces were victims because of the crimes committed by the MEK. 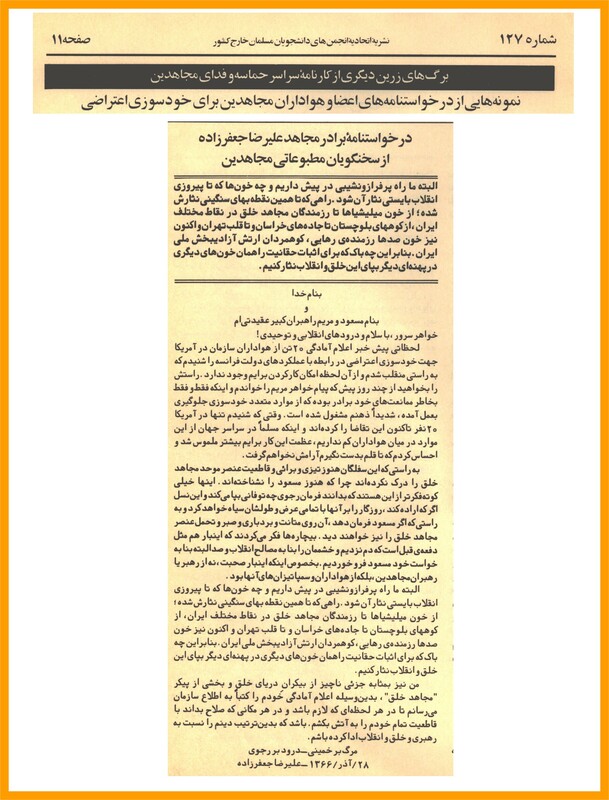 In a statement to Ashraf News Abtan denied media reports claiming sympathy for the PMOI by the people of Najaf. He pointed out that these reports are baseless. The leader of the parliamentary Al Mavaten bloc, said that some of the Iraqi media, which have ties to the terrorist group, want to create a better image for the terrorist group. He stressed that the Iraqi government is determined to expel this terrorist group according to the agreement with the United Nations. The independent press agency quoted Alnajfieh Abdul Hamza as saying that "the deal is with the individual members of the MKO not the group whether in Camp Liberty or Camp Ashraf. He added that inhuman treatment suffered by the members of this organization raises doubts among the people of Najaf province with these procedures, which confirm the existence of illegal activities in this respect. Prime Minister Nouri Al Maliki confirmed the need for commitment to the agreement on the Mujahedeen Khalq Organization of Iranian opposition, especially the deadlines of the eviction of MKO from Iraq. A statement issued by the Prime Minister's office today "Maliki met with Special Representative of the UN Secretary General in Iraq, Martin Kobler." 397 people from the residents of Camp Ashraf were transferred on January 18 to camp "Liberty" [TTL] in Baghdad, according to a memorandum of understanding signed by the Iraqi government with the UN on October 25th, 2011, for a humanitarian and peaceful settlement for the Camp Ashraf residents. Kobler said "the MOU in general establishes a process whereby the Iraqi government will move the Camp Ashraf residents to a temporary site where the United Nations High Commissioner for Refugees UNHCR begins the process of determining refugee description which is a necessary first step to resettle them outside Iraq." He added "the MOU contains a clear commitment by the Iraqi government to ensure the safety and security of the Ashraf camp residents in the new location, the government is also committed to the involvement of the Ministry of Human Rights actively in all stages of the process including the allocation of a liaison officer." 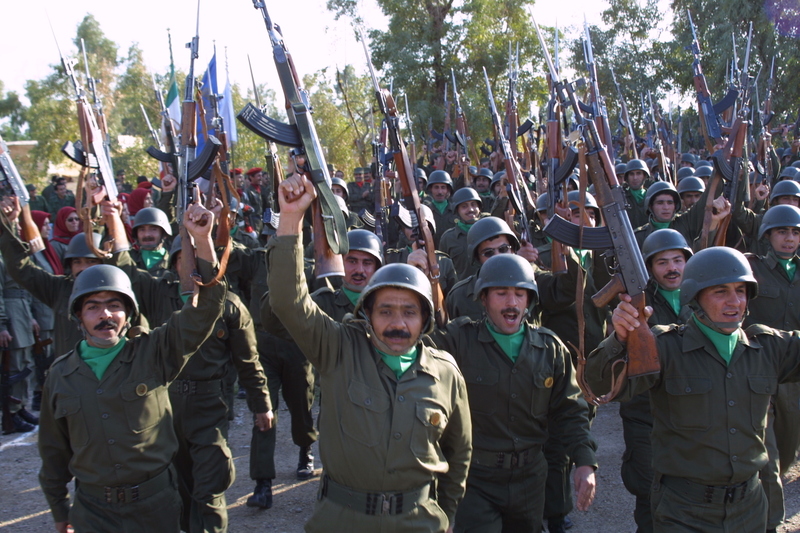 Camp Ashraf, which was established in the beginning of the eighties of the last century, is located about 155 km north of Baquba, capital of Diyala Province, it is the headquarters of the People's Mujahedeen Khalq Organization of Iranian opposition in Iraq, and includes more than 3400 people.